Levi and Jessie and their amazingly well-behaved children. This ministry is in the heart of the slums of Addis and reaches the poorest of the poor. Single mothers with little ones here often have to beg or - if they can find a job - go to work with a baby strapped to their back. Jerry and Christy offer a new option : free daycare. Spending some time with the little ones at EHE was a highlight of the trip. They were precious. They provide a safe environment for little ones during the work day so that single moms can have the opportunity to work and provide - thus keeping families together. They really have thought of everything, from nutritious meals for the kids to hygiene training for the moms to micro loans and savings accounts. What a picture of grace freely given and new hope for the future. I can't tell you how much I loved this ministry. 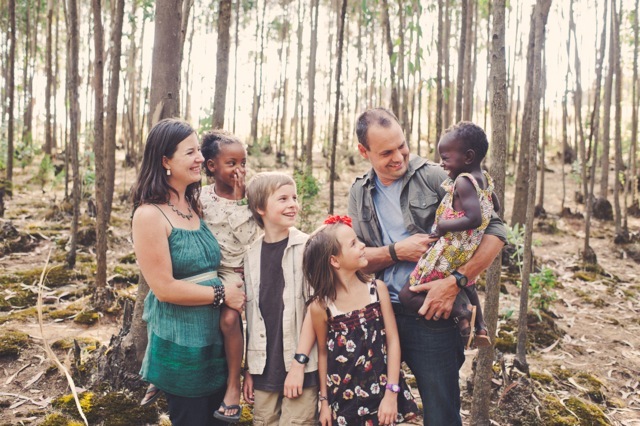 This is the ministry of one of our friends, Chris, who has been spending his summers in Uganda for the past seven years. He saw that while Uganda was very well evangelized, there was a great need for solid biblical teaching and discipleship. He and his friend Innocent are beginning a ministry to disciple select young men through seminary and develop teachers and pastors who have a good biblical theology. 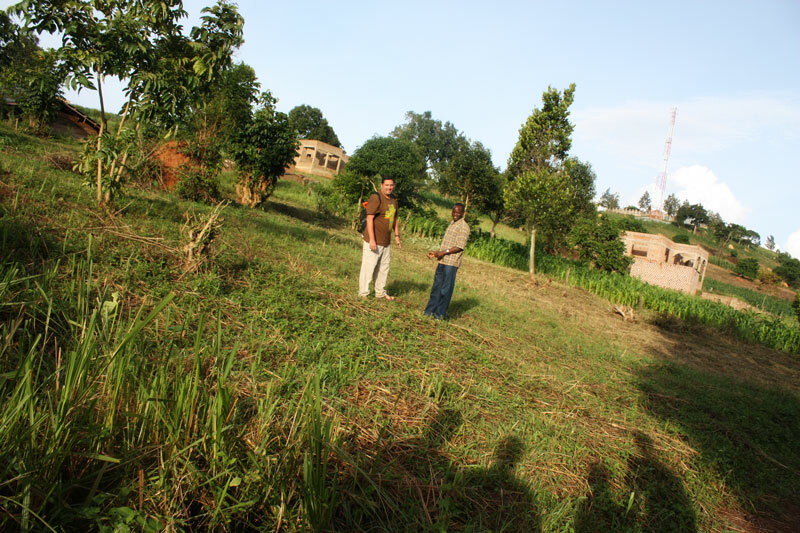 They now own land outside of Kampala and hope to begin construction on a house for the men to stay in as they work through seminary. Chris and Innocent making plans for the new building. Read about our trip to Africa here and here, too.